Growing your client base is the one need we all have in common. Standing out and being recognized is a struggle in a world where everyone is making noise. Research shows that the most effective way to keep your door revolving is to cater to your existing clientele. If fact, 82% of small businesses owners state that their main source of new business comes from referrals; and it is 8x more effective to spend your marketing budget on bringing back an existing customer than to get a new customer. Armed with this information, let’s put it into play to impact your business. But how? The answer appears to be to hire an artist. In a world where people form a first impression in a mere 50 milliseconds, you absolutely must have an artist to tailor your space to have an immediate visual impact. Creating visual content is a top priority among marketers; but that doesn’t take away from the challenges of being able to create a visually engaging core that multiplies your branding efforts. An improvement to your physical location could be the secret to effectively displaying your brand in a way that has a remarkable impact on your bottom line. 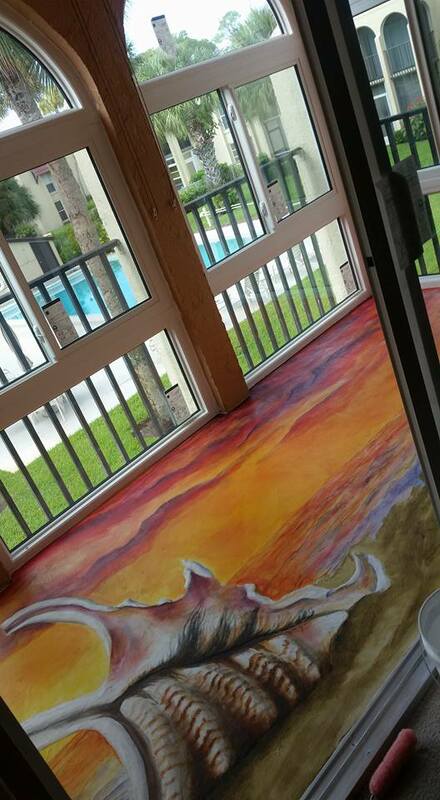 An interesting and out of the box solution that has been sweeping the nation is in the realm of spectacular flooring. When you hire an artist, you will have the resource you need to keep up with the revolution of how people perceive success. Your business’s’ visual impact will let people know that you are at the top…the moment they walk in the door. You can guarantee they will be back…bringing their friends with them.